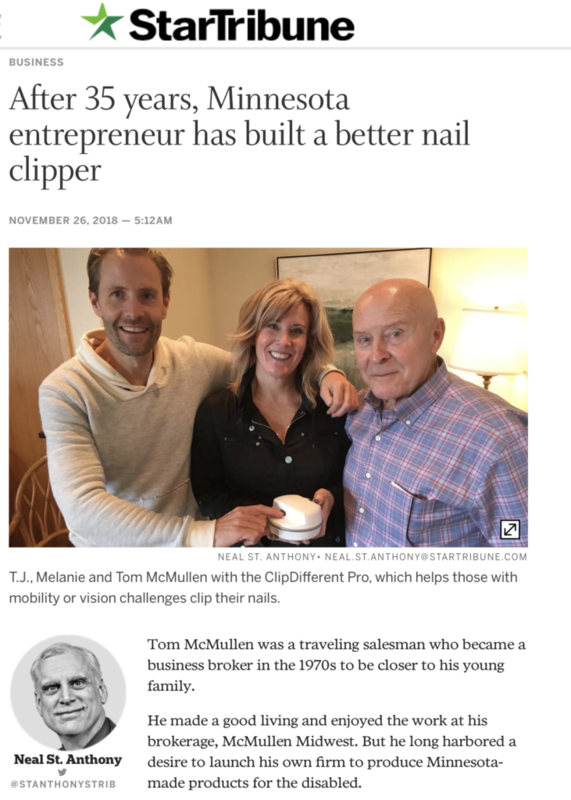 Tom McMullen was a traveling salesman who became a business broker in the 1970s to be closer to his young family. He made a good living and enjoyed the work at his brokerage, McMullen Midwest. But he long harbored a desire to launch his own firm to produce Minnesota-made products for the disabled. This entry was posted in ClipDifferent, News, Press & Media. Bookmark the permalink.